A lot of times Customers will ask you questions regarding Monitoring in Hybrid Cloud or Cloud Security . This happens all the more when a New Customer plans to move to cloud . Microsoft Operations Management Suite , is a solution ( to an extent ) to the customer questions .  Simplicity: A single portal for all your management tasks. No infrastructure to maintain.  Time to value: Onboard fast. No content to create. Connects to your on-premises datacenter.  Easy to integrate: Add new servers, or connect to your existing management tools within minutes. 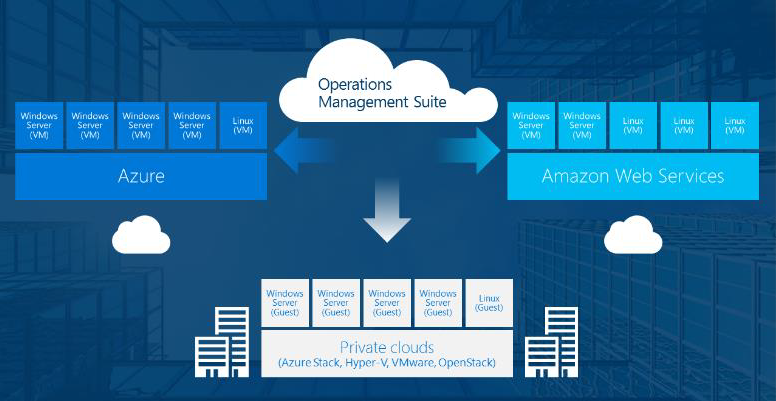  Hybrid and open: Manage workloads across Windows and Linux, hybrid and public clouds, Azure and AWS.